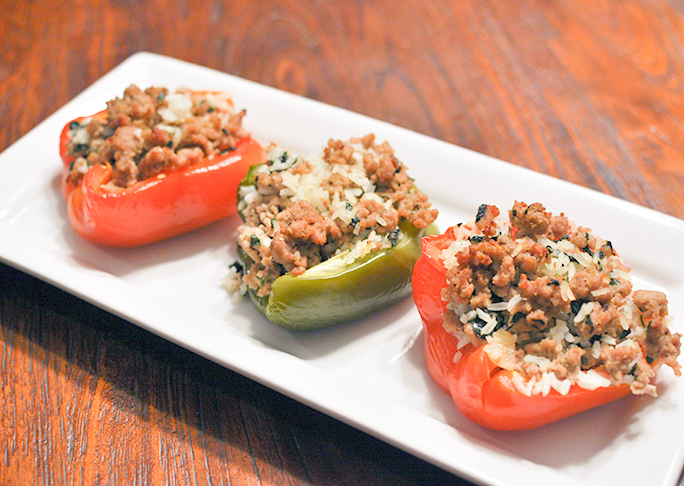 I'm a huge fan of stuffed peppers. They're super versitle, easy, and even better served the next day. I've made them all kinds of ways; the possibilities are really endless. 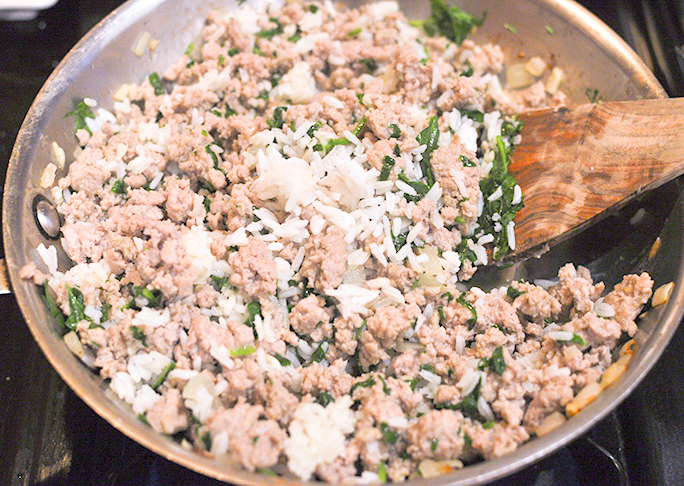 One of my favorite ways to make them is with ground turkey, rice, and spinach. It's a healthful meal for the new year when we are all trying to to get back to basics and eat a little cleaner. A great healthy recipe for the new year; leftovers are even better the next day! Step 1: Preheat oven to 350 degrees. Line a baking pan with foil and coat with 1 tablespoon of olive oil. 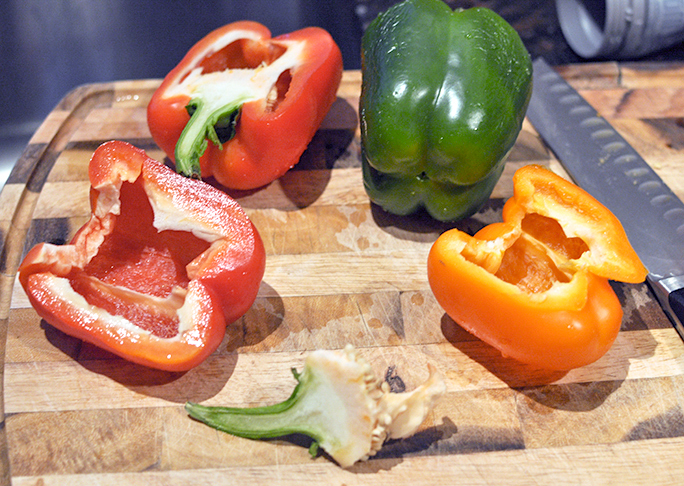 De-seed and de-sem peppers and place them cut side up onto the baking pan. 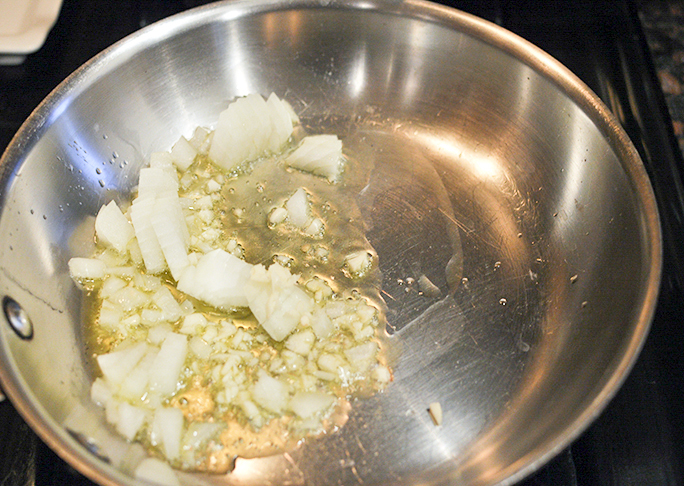 Step 2: Heat remaining oil in a large skillet over medium heat. 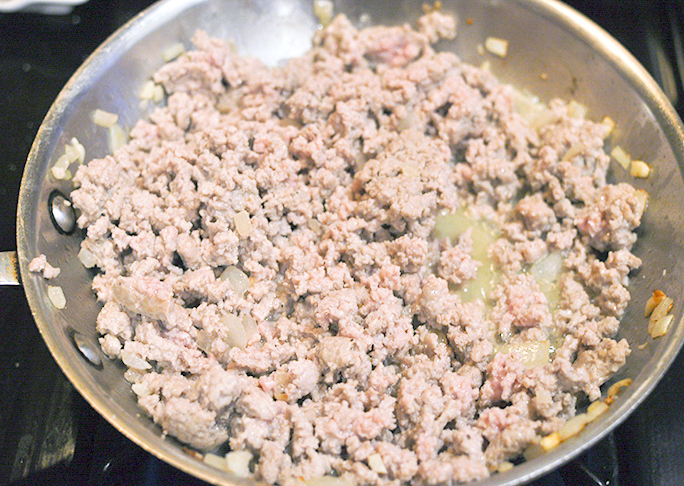 Sautee the onions and garlic until just tender, then add in the ground turkey. Cook until turkey is just cooked through, about 8 minutes. Step 3: Stir in rice, spinach, salt and pepper. Step 4: Evenly distrbute the turkey and rice mixture amongst the pepper halves and cover pan with foil. 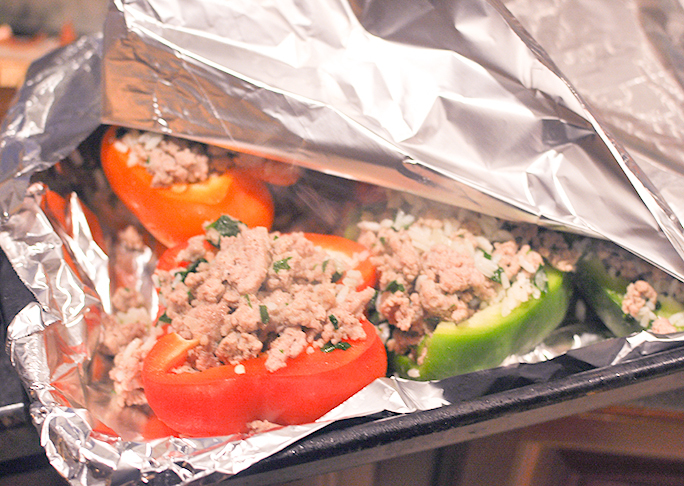 Bake for 30-35 minutes or until the peppers are tender. Enjoy!